I use the stopwatch on my cellphone to record the time of my running. I use Pedometer. I don't like I Watch readings. This is the day thatI really put my all into this weight lost journey. Starting weight 185 and my goal is 150. I use my fitbit charge to to keep track of what I am doing. Today I had it down too low near my wrist and it was counting my heartbeat correct, everything else was OK. Right now I kind of count it out. I am going to check out the apps that are mentioned here. I just started using run keeper, but I am not sure I like it. I also have an apple watch. I'm old school. I use a Garmin GPS. Does the runtastic runner app let you still listen to music? I found an ap on my droid called runtastic timer. I can set workout and rest times so I can walk one and jog the other and it will do intervals so I go back and forth to get my 30 minutes in. I will believe in ME! Goal 160 by 1/1/18 Goal Met! Goal 155 by 2//28/18 Goal Met! There are a lot of free apps for interval training for iPhone and Android. Just search cross fit timer HIIT timer. You can program the desired intervals and your phone will beep when to start/stop running/walking. I use a digital sports watch, start at an even point, because the intervals are 5 minutes each so I start at say 12:25 and walk for 4 min run for 1 min. Because I start at an even interval I can keep better track. I have to be in even amounts (its a thing LOL) so I ran for 2 min not 1.5. It also has seconds so if I was running for 30 seconds I would time that. I am going to look at the Podrunner and C25k aps. Is the music and notifications appropriate for 5 min intervals like the program here? The race is not to the swift, but to the one who endures to the end. I had been using my phone (the stopwatch on it) but I have decided to get a digital wrist watch that has seconds, minutes and hour all separated. It also has a stopwatch, this should work better for me. I've steered away from the timing program of this team. Slightly disappointed in myself, but I'm still getting out there and trying to run a little. I had a grease burn down the right calf so was held up from training for about a week and a half.....fell behind before I got started. I'm going to try to get back in the program next week with better timekeeping~with a stopwatch. I thought the same thing. 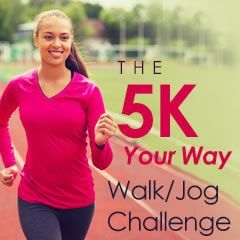 Just downloaded C25K Couch to 5K app by RunDouble. It was a free app for the Android and I will see if it works as well as the reviews states. The journey of a thousand miles begins with that first step.....make that first step count!!! New choices, new beginnings!! I use a treadmill that has a clock on it. "My strength doesn't come from what I can do, it comes from conquering what I couldn't." I use either the time on my stopwatch, on my phone if I'm outside & the map my route on SP to track distance. If I'm in my "gym" aka my garage, the treadmill has a time/distance setting on it. I have an iPhone 4s and use the free Runtastic Pedometer app. It works super. I bring my phone along anyway, so it isn't anything extra that I need to carry. I use the (also free) Map My Walk app as well. I wondered this same thing! Am on my sixth week, doing it myself with increasing running stretches. I CARRY my phone, set on stopwatch, and click 'lap' for each walk/run set. Works great for me, although inconvenient to carry. I found podcasts for the original 9-week program, so I've just been using those. They have a tone to let you know when the interval changes. Actually I have found this program a little difficult. At this point, I'm going to have to work up to running longer intervals (I'm still doing 30-second runs.) But it would be great if Spark could make or sell podcasts for this program. Well, it's clunky, but I set my timer on my iphone clock app and wait for the alarm to go off. I have a wonderful sports watch somewhere that I once used, but the battery died and I never got another one. I know it's around here somewhere. I always thought the same thing. A watch would be ideal, but I hate wearing one when running. I was also hoping that there might be an app for mobile that tells you when it is a certain time. It would be great to know what other people use. This is going to sound like a stupid question, but what's the best way to time yourself for the intervals? Do you just have to keep an eye on your watch the whole time? Does Sparkpeople have a podcast or playlist for this program?